Tollywood superstar Pawan Kalyan starrer action drama movie ‘Sardaar Gabbar Singh’ is all set to released this Friday on box office in Telugu as well as Hindi languages. It is the sequel of 2012’s blockbuster Gabbar Singh and has huge pre-release hype among audience. Fans of Pawan are showing great excitement towards his new offering and creating huge buzz about it everywhere. Sardaar Gabbar Singh is being released on 2600 screens worldwide, that includes 1800 screens for Telugu and rest 800 screens for its Hindi dubbed version. As its prequel, the latest one is also expected to set new records in South Indian Cinema. Opposite to Pawan Kalyan, Kajal Aggarwal is playing as lead lady. Raai Laxmi, Sharad Kelkar, Brahmanandam and many more known faces from the industry are in supporting roles. KS Ravindra aka Bobby’s directorial Sardaar Gabbar Singh has received massive response for advance booking, that has been started from Monday morning. Within few hours, most of the theaters of Telugu states had reported it as houseful for the opening day. As per report, the movie will get houseful for the entire weekend before the commencement of its first show. This shows the love and support of fans towards the movie of their favorite star. 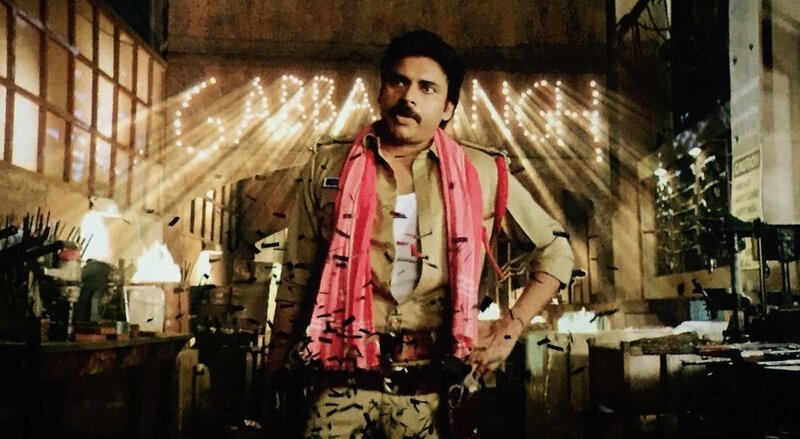 Trade analysts are expecting a tremendous start of Sardaar Gabbar Singh on Friday. As per the prediction report, it will collect more than 15 crores across the Telugu states and dominate the opening record of Mahesh Babu’s Srimanthudu (14.50 cr approx. ).